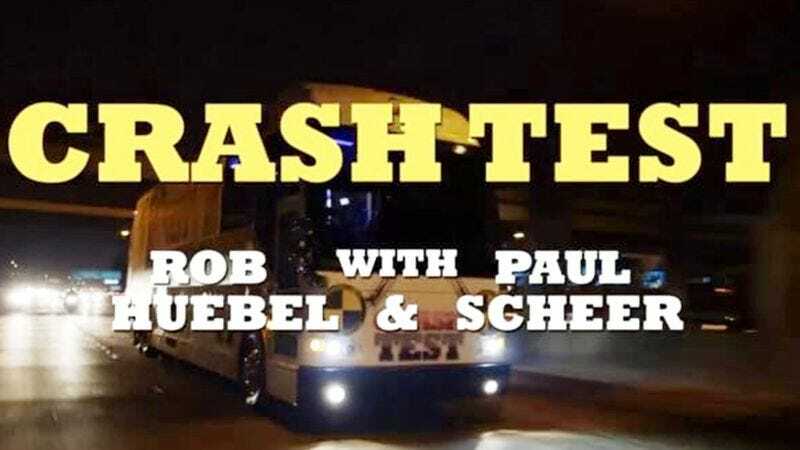 We told you a couple of weeks ago about the new comedy special, Crash Test, wrangled by Rob Huebel and Paul Scheer and starring some big-name talent, including Aziz Ansari, Aubrey Plaza, and Jack McBrayer. The premise: A bus full of comedy fans drives around L.A., stopping at various locations to be entertained by comedians. The special is available exclusively on Vimeo On Demand, and we’ve got a clip of Natasha Leggero (and her dog) keeping things lively. Enjoy.